Data security can be a huge challenge for your business. When it comes to managing your business, you have enough on your plate. Network security can be a huge challenge for your business. After all, your employees and clients rely on your network and data security in order to keep their information safe and secure. If you’re looking for ways to improve network security for your business and prioritize data security, we’ve got you covered. Read on for some of our tips for prioritizing data security in your business. By enhancing your network security measures, you can vastly improve your data security. Unified Threat Management (UTM) is one increasingly popular way to do this in your own business. With UTM, you can protect your network with a firewall, while also blocking spam and viruses that can pose a security threat to your business network. A UTM can help you centralize your network security. This will give you more control over your security measures and help you easily evaluate your security risks. A UTM can even help you block content and websites that you want to keep separate from your work environment. Passwords are absolutely integral to your network security. Not only should you be making sure that you and your employees are using secure passwords, but you should also consider changing them fairly regularly. Try using variations on your typical passwords, and always keep a list of your previous passwords for reference. Most of all, you should consider using two-factor verification for your network security. Two-factor authentication can require two passwords, a password and a phone call, a password and an email, and more combinations of authentication methods. This will help you prioritize data security in your business and help you control access to your business’s data. Not only do you need to prioritize data security for your own business, but you should make sure your employees are prioritizing it, too. You should stress the importance of strong passwords and two-factor authentication with your employees. 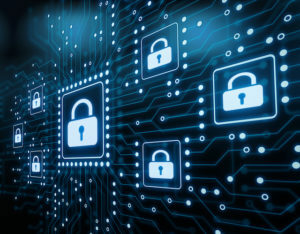 You may also want to consider retraining your employees when it comes to your network security measures, to ensure that your whole business is up-to-date with your threat management procedures and better able to protect themselves from security threats. Consult your trusted managed services provider to ensure your business is getting the best security solutions and training for managing your data security. This entry was posted on Friday, February 1st, 2019 at 1:59 pm. Both comments and pings are currently closed.